Could it be? After months and months and months of cold, bleak, grey, miserable weather, is summer getting closer? I am trying not to get too excited - the weather has been better the last couple of weeks, and I'm really hoping the winter coat might soon be tucked away (maybe in a month - is that me being a bit optimistic and positive?). While I count down to glorious summer, I'm super excited that Africa Writes - the Royal African Society's African Literature and Book Festival - is back!!! 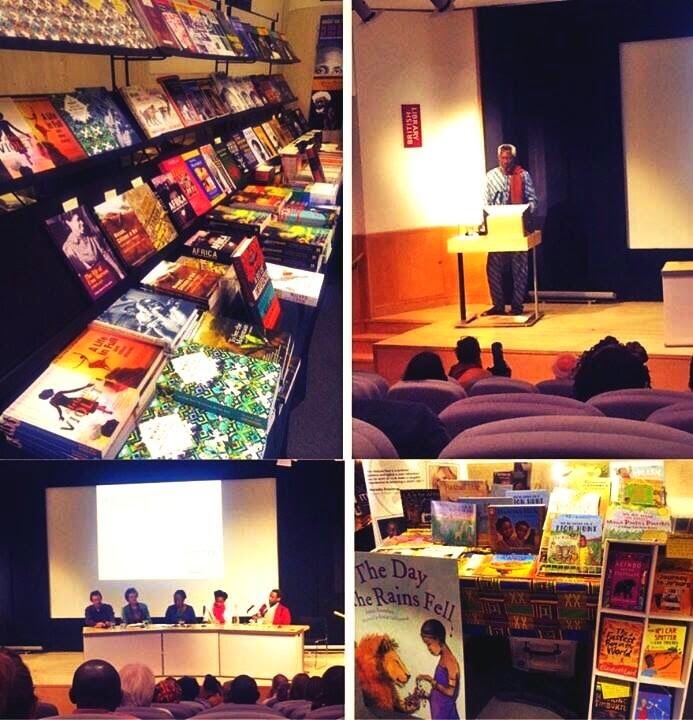 For the fourth year, authors, poets, publishers and lovers of (African) literature get to experience three glorious days of well ... African literature and books at the British Library. Taking place from Friday 3 July to Sunday 5 July, Africa Writes 2015 programme includes a conversation with Ben Okri, an evening of books and inspiration (chaired by Hannah Pool) and an opportunity for aspiring writers to meet with people in the industry. Last year, my sister and I got to listen to Warsan Shire, Belinda Zhawi and other African women poets reclaim the feminine voice; while my mum and I listened to Chuma Nwokolo read excerpts from his anthology How to Spell Naija; Fatimah Kelleher chair a panel on African and Diaspora Travel writing in the 21st century; and was blessed to be in the audience while Wangui wa Goro was in conversation with Ama Ata Aidoo. Plus, I finally got to meet Ivor Hartmann and Tendai Huchu - and my mum reunited with a friend she hadn't seen for over 30 years. You can see why I'm excited!! So definitely check out their blog - it has cool features like 'Five Lists of African Literature [Africa Writes] Loves' - and join the conversation on Twitter (#AfricaWrites) to share what you're reading right now.